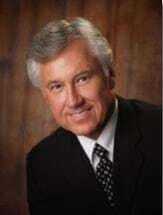 Rex Bradley, has served as both a public and private attorney in Missouri for over thirty years. He has not only served as a public defender but also served in the Marine Corps in Vietnam. Mr. Bradley's combined experiences allow him to accurately gauge his opponents in a courtroom and to aggressively pursue compensation for injured parties. Mr. Bradley is a graduate of the University of Missouri-Columbia with a B.S. in Public Administration. After returning from Vietnam, he received his J.D. from the University of Missouri-Columbia School of Law in 1974. After law school, Mr. Bradley served as an assistant prosecuting attorney for Boone County and continued his public service as a Public Defender for St. Charles County, Lincoln County and Pike County. With over thirty years of experience under his belt, Mr. Bradley is the kind of attorney you want on your side. He has tried hundreds of cases in numerous jurisdictions in Missouri and his extensive knowledge of case values allows him to accurately gauge the value of your case.